Founded in 2015, Help Thai is an NGO started by Daranee Prompun Cobham and her son, Timothy Henderson. Wanting to continue in the efforts and wishes of Daranee's father and Tim's grandather, we started this charity to help children from the poorest parts of Thailand. Our aim is to provide these kids with the opportunity to study and create a better future for themselves and their family. Founded in 2015, Help Thai is an NGO started by Daranee Prompun Cobham and her son, Timothy Henderson. Wanting to continue in the efforts and wishes of Daranee's father and Tim's grandather, they started this charity to help children from the poorest parts of Thailand. Their aim is to provide these kids with the opportunity to study and create a better future for themselves and their family. Help Ban Dan is the first official project of Help Thai. Ban Dan is a village in Buriram in the North East of Thailand. According to the UNDP, the rural parts of the North East of Thailand have the greatest amount of poverty in the country. 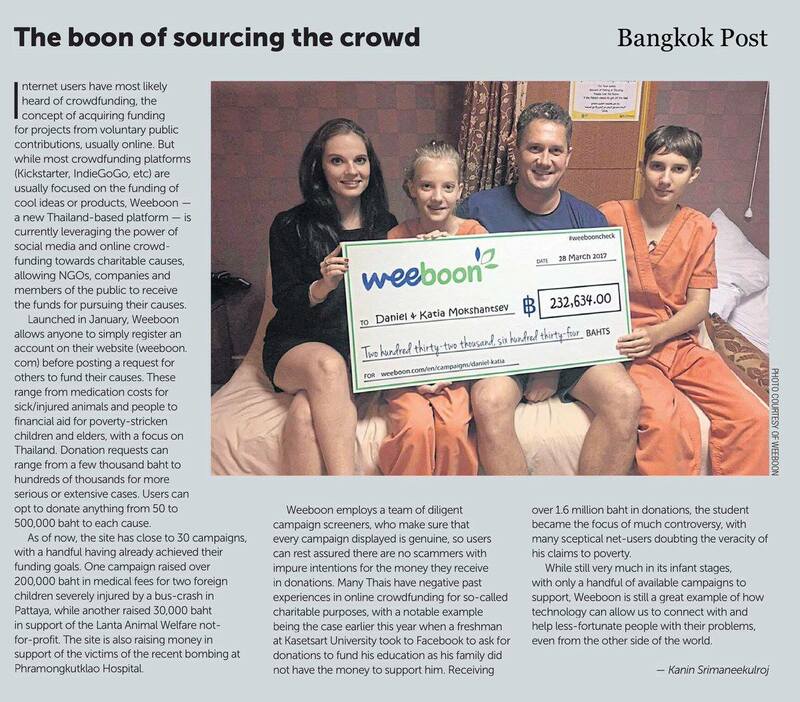 This is one of the main reasons as to why this is the starting point for this journey in helping children across Thailand. This campaign is to rebuild Nong Namwan's home for her and her family. The home has holes in the walls and the roof has been torn up after a massive storm. The aim is to build them a new home so that will be safe and protected for years to come. Keep doing this promps, I hope this house gets built, let me know what the target is so we can try get there?